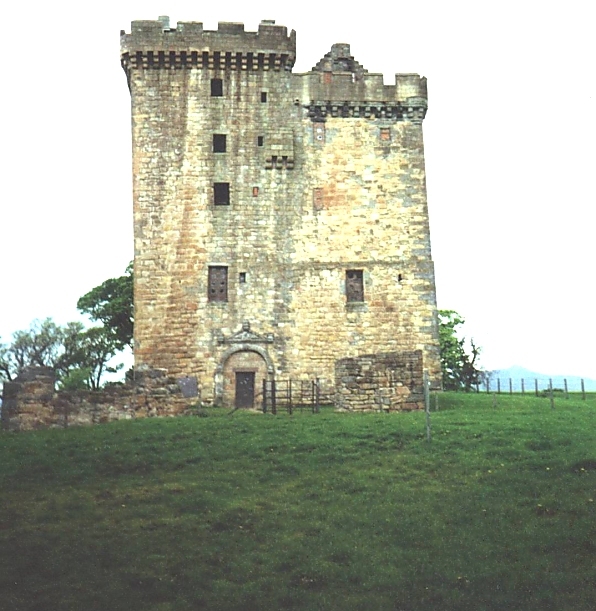 Built during the 14th and 15th Centuries, Alloa Tower was extensively renovated in the 18th century and again recently, but still retains a medieval timber roof. 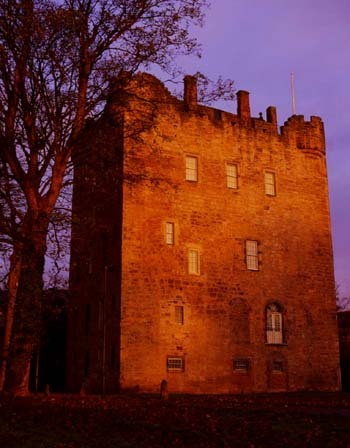 In 1360 the town of Alloa was put under the control of Sir Robert Erskine and his descendents have maintained the association with the town to the present day and still own the Tower. 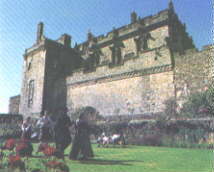 In 1565 the family were made Earls of Mar by Mary Queen of Scots, who is said to have been reconciled with Darnley here. Another notable Erskine was the 6th Earl of Mar who led the 1715 Jacobite rebellion an enterprise which was not crowned with success. 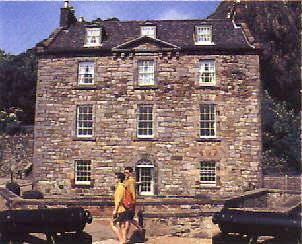 Bobbing John, as he was known, was forced into exile, but his son was later able to recover their Alloa property. 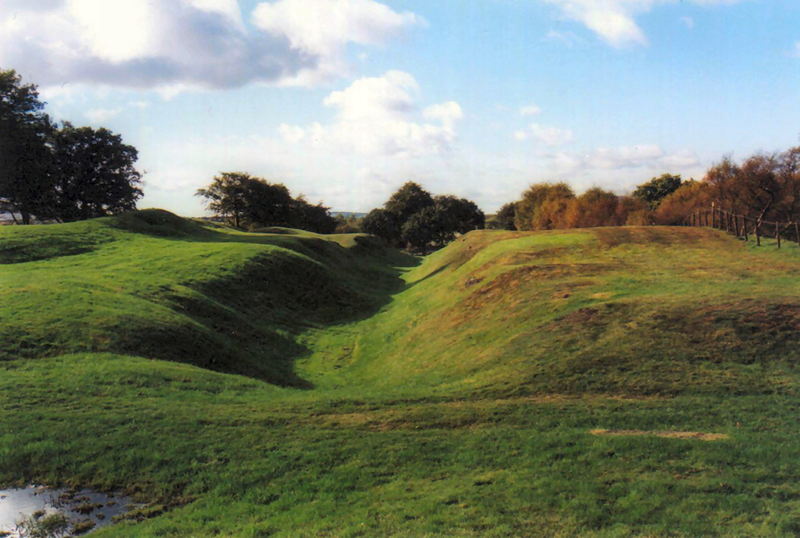 The best preserved length of rampart and ditch, together with the earthworks of a fort, the most complete on the Wall, and a short length of military way with quarry pits. 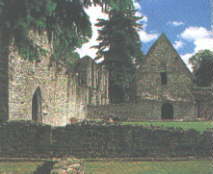 The ruins of a Valliscaulian priory founded in 1230 and later converted to secular use. Balquidder Church - There are two churches on this site; one dating from 13thC, the other from 1631. 4m NE of Linlithgow on the Firth of Forth, off the A904. One of Scotland's most important strongholds. Built in the 14th century and massively strengthened in the 16th century as an artillery fortress, it has been royal castle, prison, armaments depot and film location for Hamlet. Winter: closed Thursday afternoons and Fridays. Founded in 1753 by Cumbrian iron masters this is the most complete remaining charcoal fuelled ironworks in Britain. Displays show how iron was once made here. Has been restored to its former Georgian splendour. You'll find a working Georgian kitchen, with its open fire and convection driven spit, kitchen maids in period costume offer authentic Georgian recipes. There is also a General Store, a Printer's Shop and a Watchmaker's workshop. 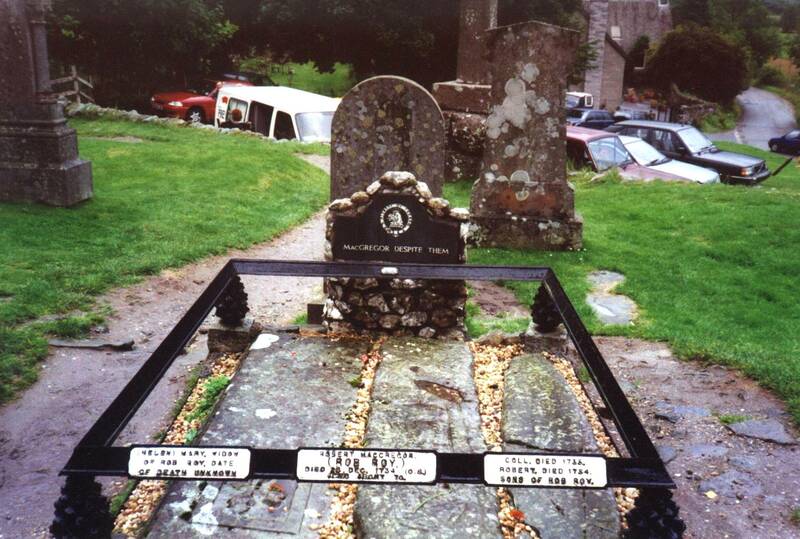 In its day a famous house of Augustian canons, the scene of Robert Bruce's Parliament in 1326, and burial place of James III and his Queen. 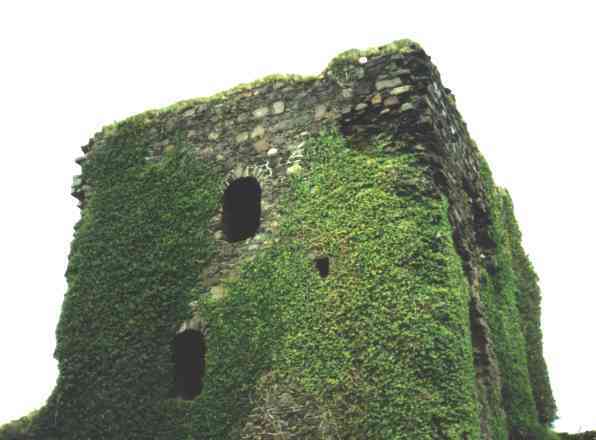 The fine detached tower is the only substancial survivor, but extensive foundations remain of he rest. 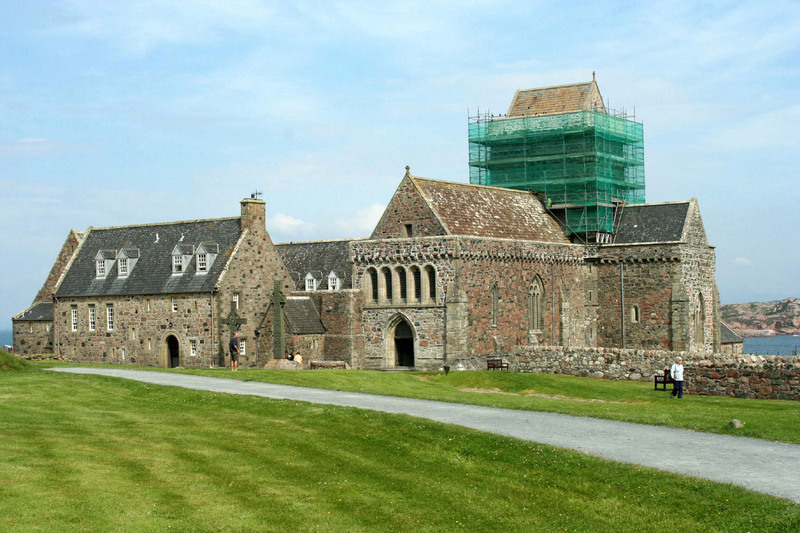 A handsome combined tower house and hall, home of John Carswell, first Protestant Bishop of the Isles, and translator of the first book printed in Gaelic. Very fine architectural details of the late 16th century. At the head of Dollar Glen, 10m W of Stirling on the A91. 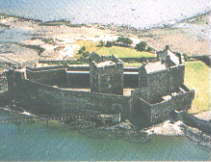 Known as "Castle Gloom" this spectacularly sited 15th-century fortress was the lowland stronghold of the Campbells. Stunning views from the parapet walk. A lovely walk beside the Dollar burn takes you to the castle but there is also a road which takes you right up to the Castle. 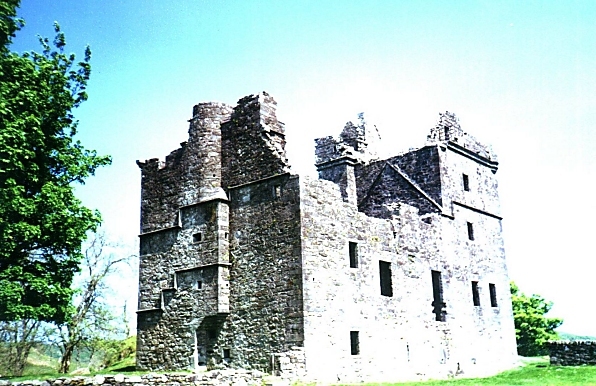 This is one of the earliest castles in Scotland, started in the twelfth century, with later towers built in addition to now vanished wooden structures. 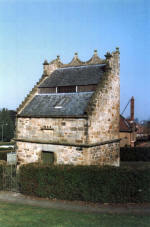 The town of Clackmannan has a long association with the Bruce family and this keep was the home of Robert the Bruce for a while. It was built originally in the 14th century but substantially altered over the next three hundred years. In Doune, 8m S of Callander on the A84. 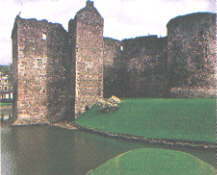 The formidable 14th-century courtyard castle was built for the Regent Albany. The striking keep-gatehouse also combines domestic quarters including the splendid Lord's Hall with its carved oak screen, musicians' gallery and double fireplace. 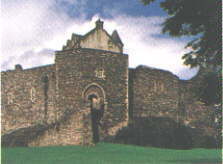 Building was started towards the end of the 14th century, by Robert Duke of Albany and completed by his son Murdoch, who was later executed (1425) by James 1st. 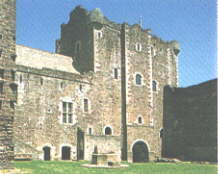 Doune consists of a large courtyard protected by high walls and a gatehouse tower. 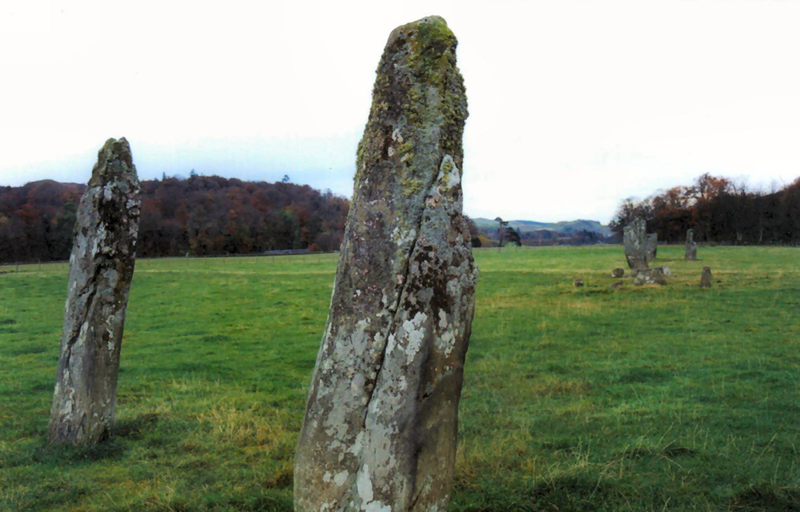 It is protected on two sides by the River Teith and a tributary and in a strategically important position in Central Scotland, second only to Stirling. In Dumbarton on the A82. Site of the ancient capital of Strathclyde, Mary Queen of Scots sailed to France from here as a child in 1548. 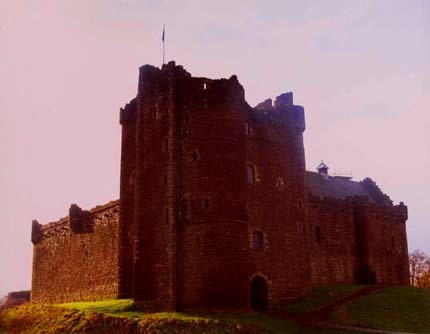 The castle is spectacularly sited on a volcanic rock overlooking the River Clyde. Displays in Governor's House. 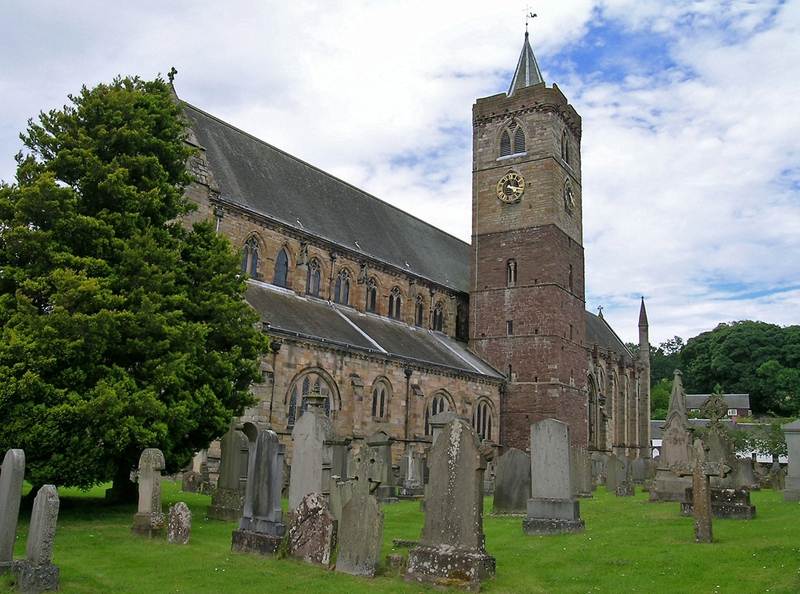 One of Scotland's noblest medieval churches. 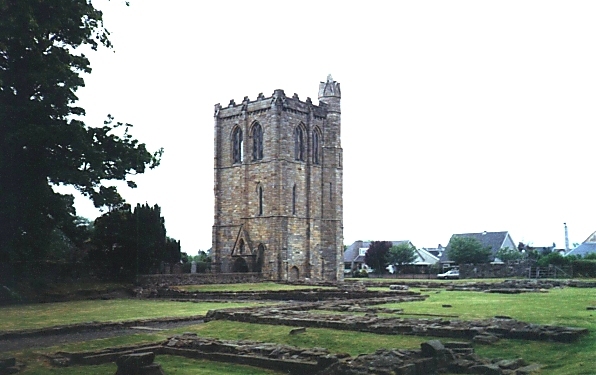 The lower part of the tower is Romanesque, but the larger part of the building is of the 13th century. It was restored in 1889-93 by Sir Rowand Anderson. Thanks to Louise McGilviray for sending us in this picture. 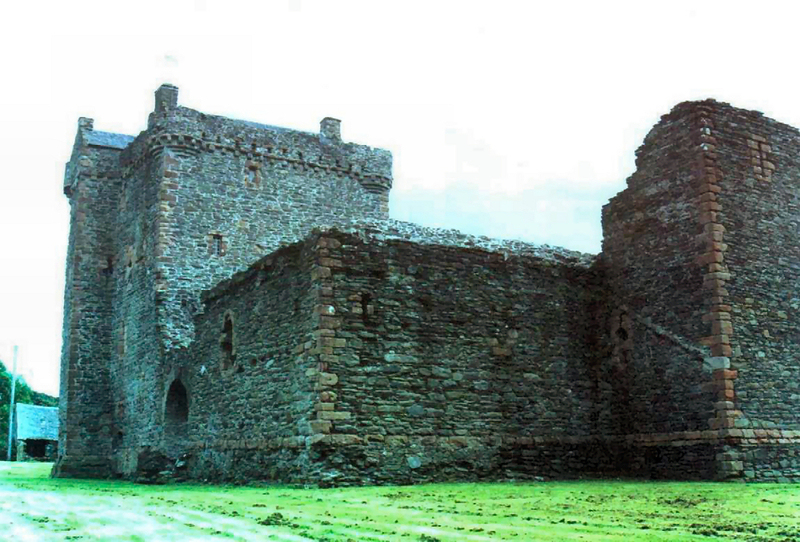 A very fine 13th-century castle built on a rock with a great curtain wall. 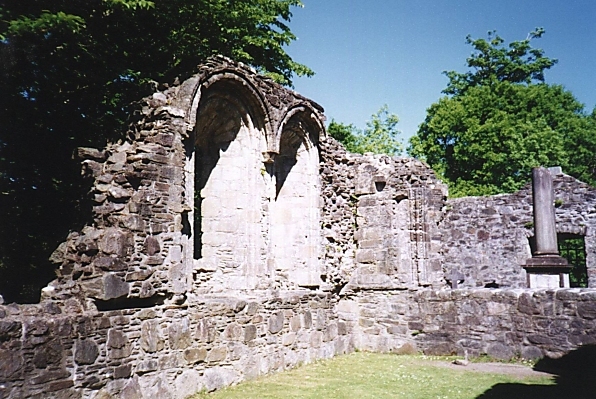 Close by are the remains of a chapel with beautiful architectural detail. The castle's colourful history stretches across the Wars of Independence to the '45 Rising. Briefly the prison of Flora Macdonald. A chapel with a vaulted chancel containing the effigy of an ecclesiastical figure, probably of 12th century date. 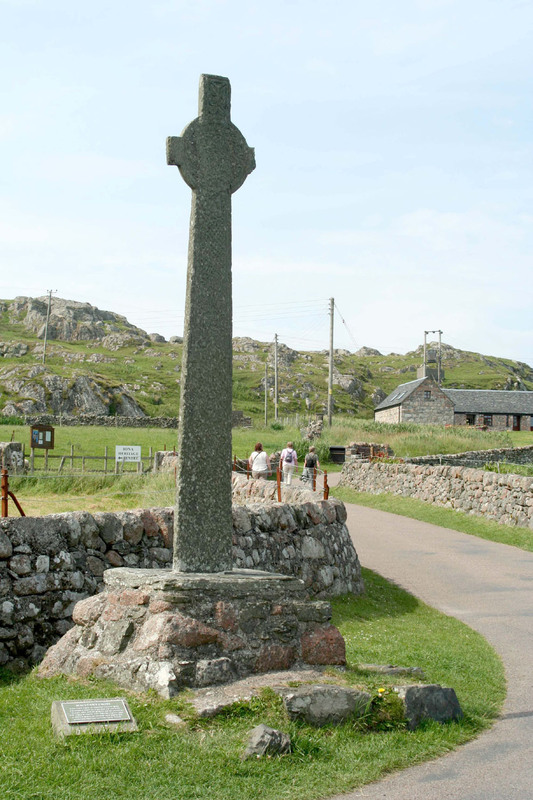 A simple building of a distinctive West Highland type, with good medieval monuments in the graveyard. On an island in the Lake of Menteith. Reached by ferry from Port of Menteith 4m E of Aberfoyle off A81. 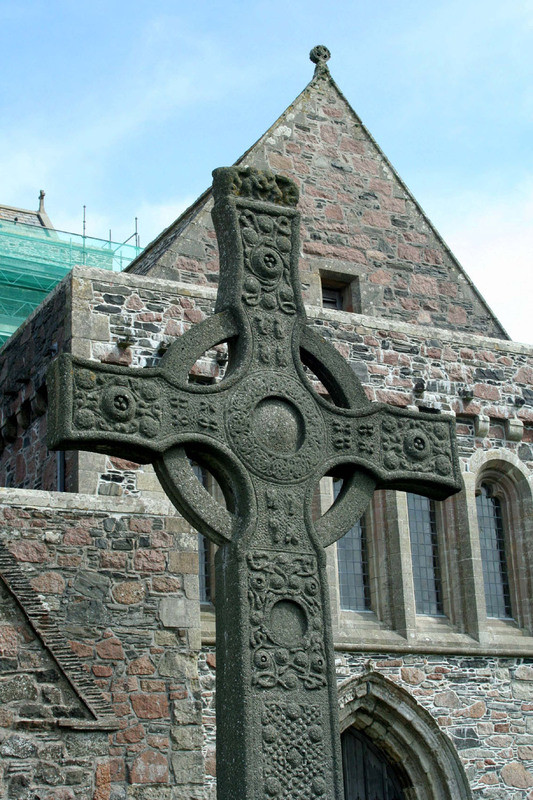 A beautifully situated Augustinian prior founded in 1238 with much of the building surviving. 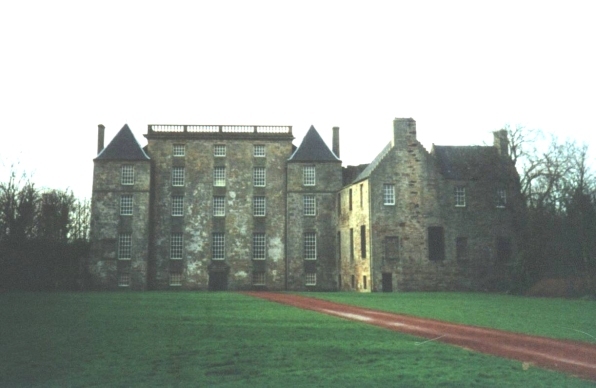 The five-year-old Mary Queen of Scots was sent here for safety following the disastrous Battle of Pinkie in 1547. Thanks to Duncan Fenton for sending in this picture. 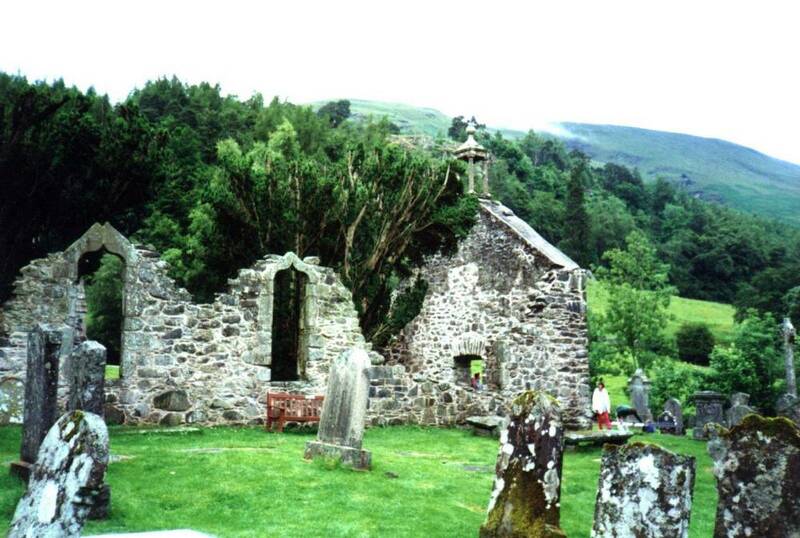 A small West Highland chapel housing a collection of West Highland grave slabs and Keills Cross. 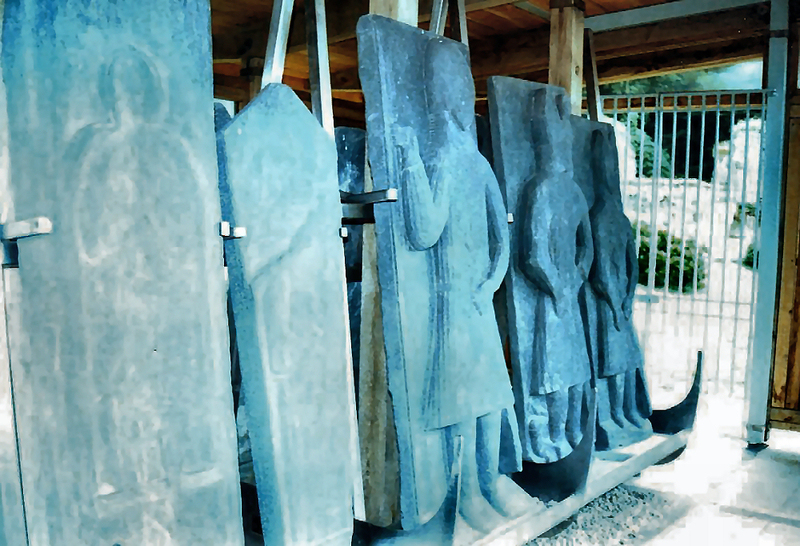 A collection of late-medieval sculptured stones gathered from the Kilberry estate. 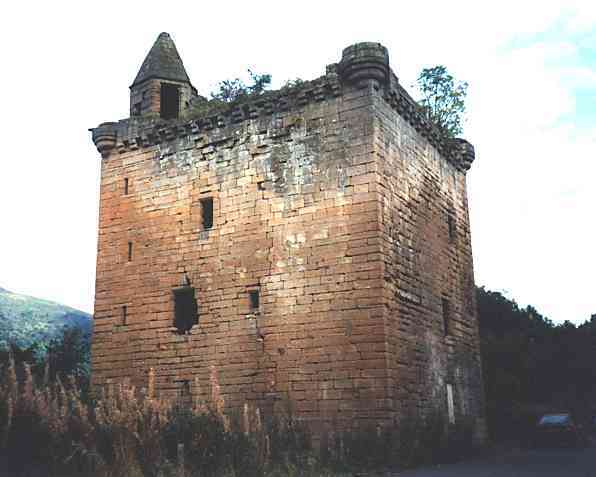 A square tower, built by Colin Campbell of Glenorchy c1550, it was much enlarged in 1693 incorporating the first purpose built barracks in Scotland. 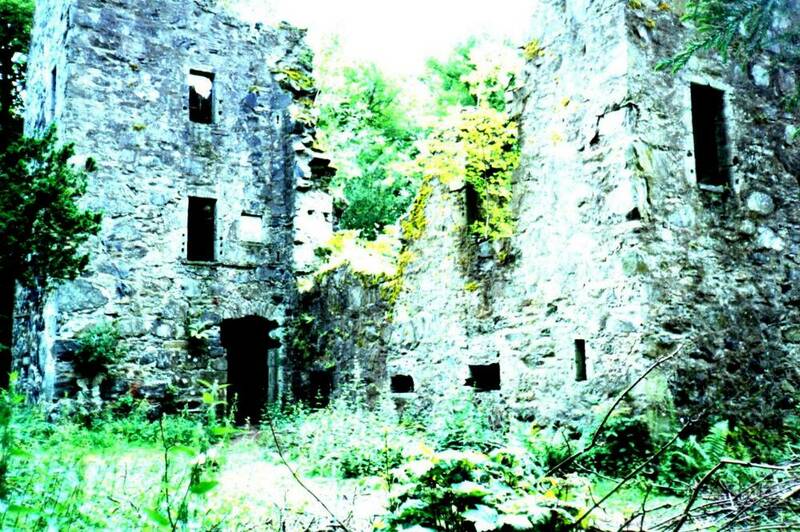 The substancial ruins are some of the most picturesque in the country with spectacular views down Loch Awe. 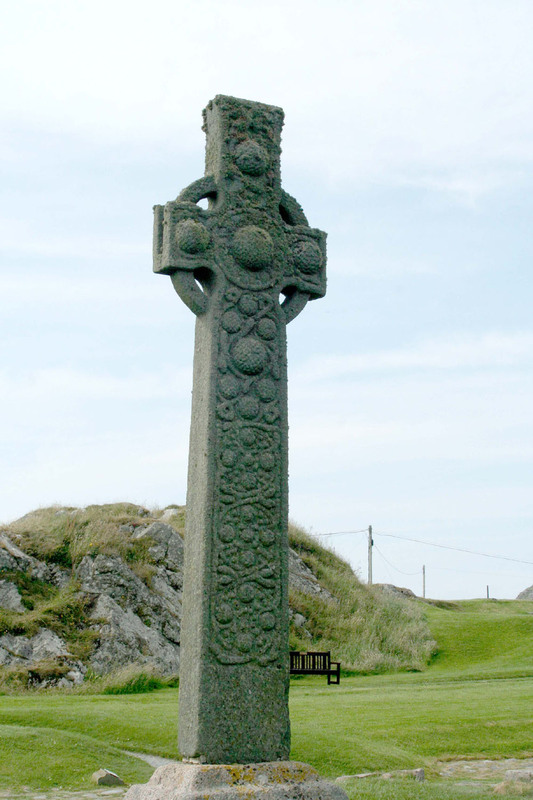 The finest intact High Cross in Scotland carved in the late eighth century. 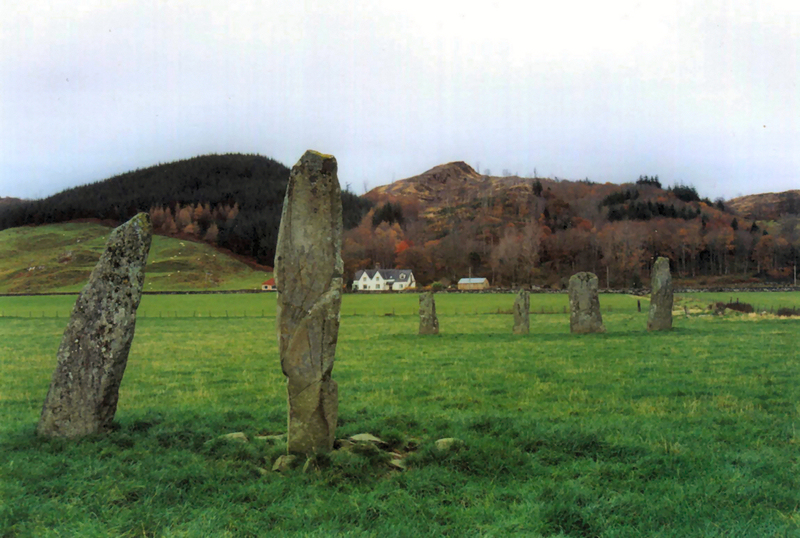 These monuments on the Poltalloch Estate form a remarkable group. The exposed crest of a rocky ridge with well preserved cup and ring marks of the Bronze Age date. Cup and ring marks on natural roack faces, of Bronze Age date. 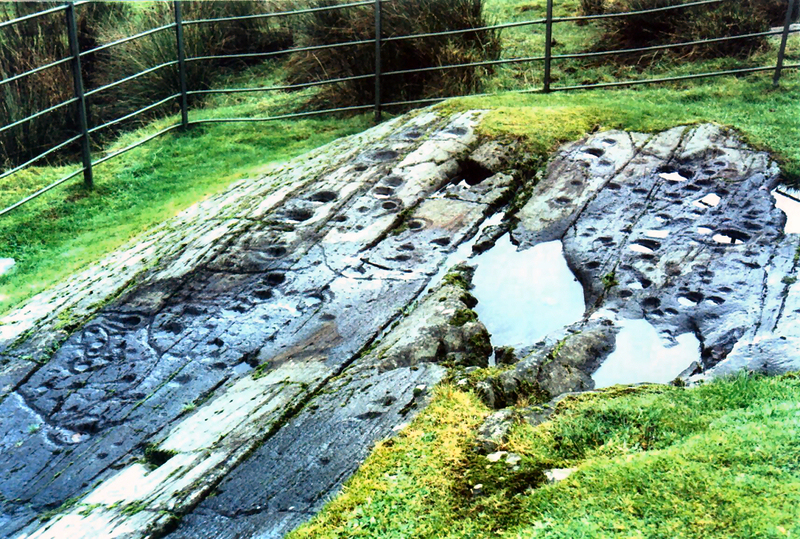 Several groups of Bronze Age cup and ring marks on natural rock faces. Cup and ring marks on a natural rock surface. This spectacular site has been occupied since the Iron Age. 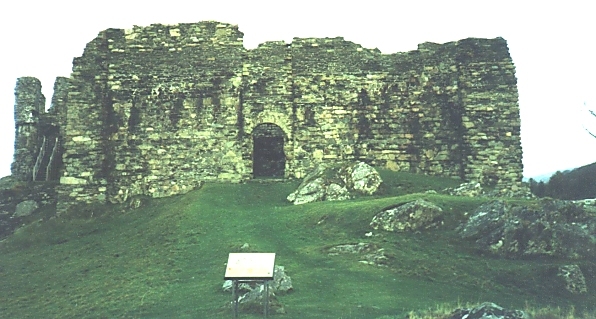 The well preserved hill fort is post-Roman, when it was a stronghold of Dalriada, the kingdom of the Scots. 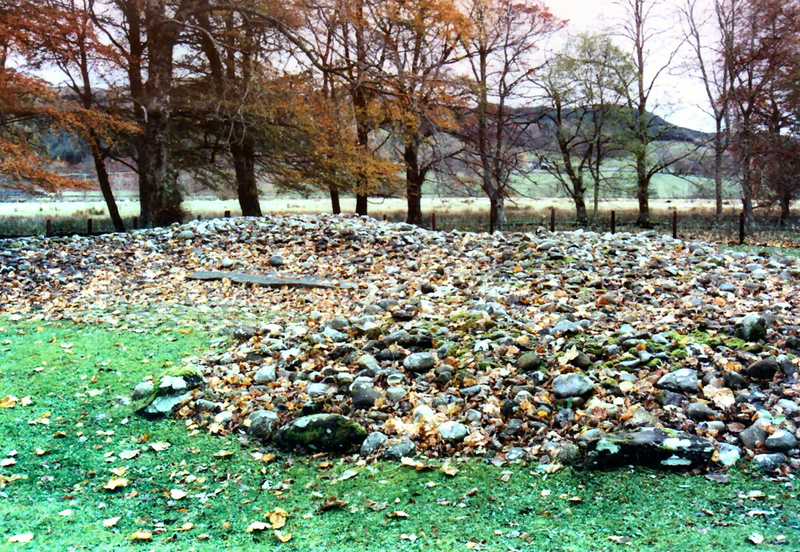 A Bronze Age cairn excavated in the last century. 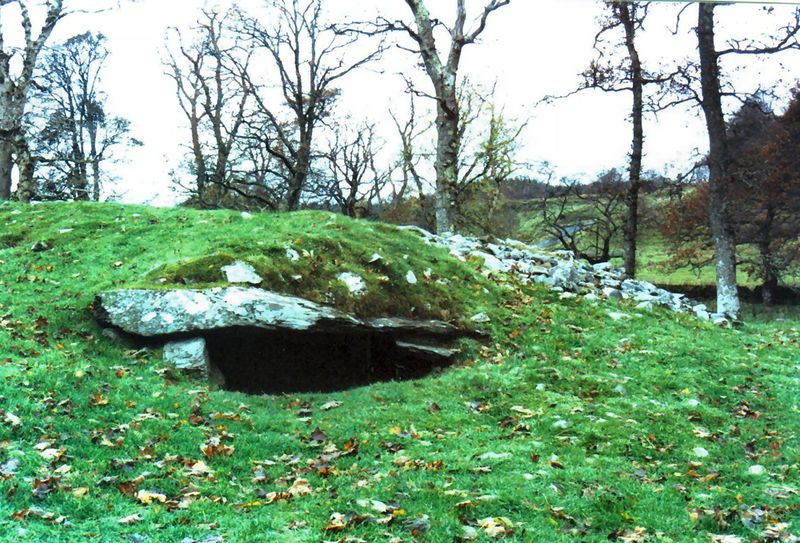 An early Bronze Age burial cairn, with two burial chambers (cists). 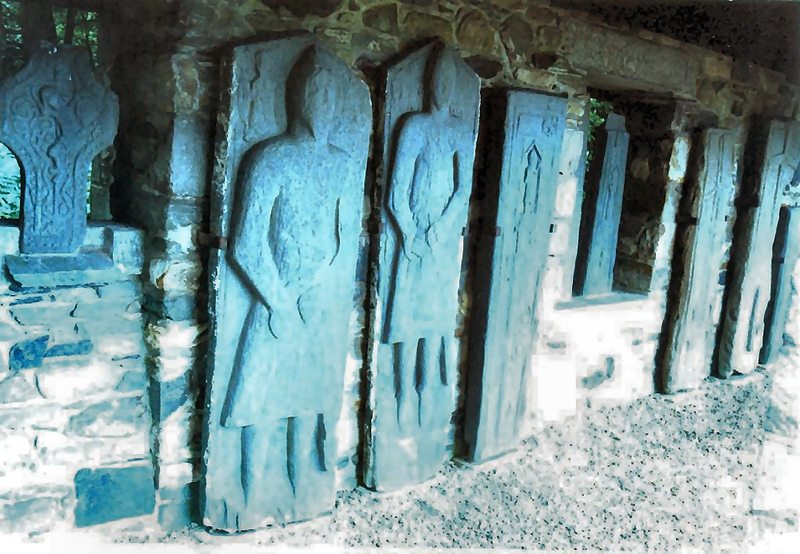 Over two dozen carved West Highland grave slabs, now housed in a former mausoleum and in the parish church. 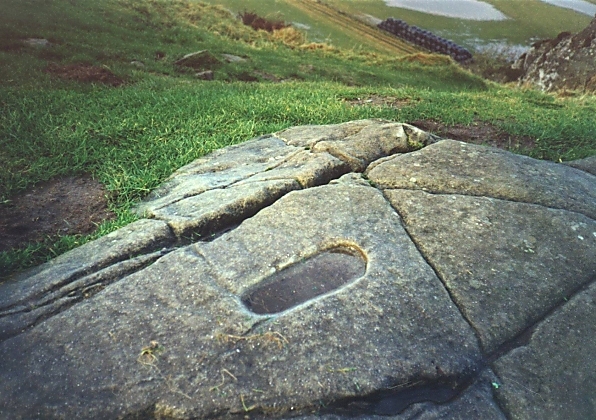 Bronze Age cup and ring carvings on a natural rock outcrop. 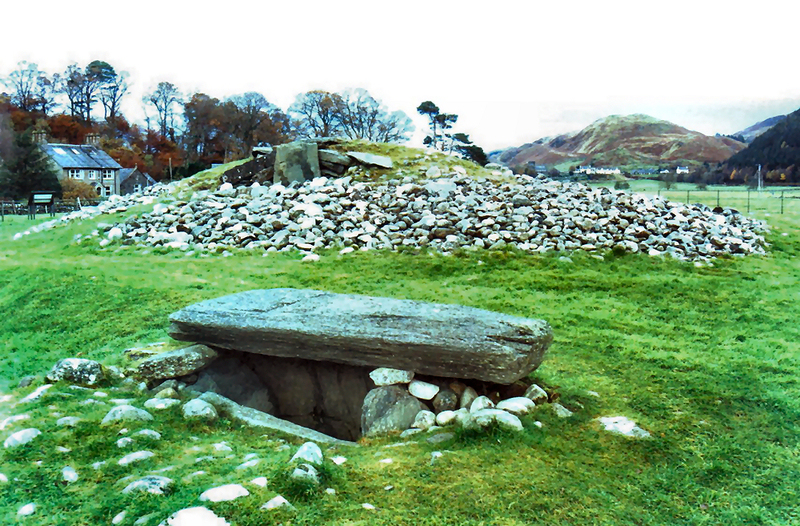 One Neolithic and two Bronze Age cairns. 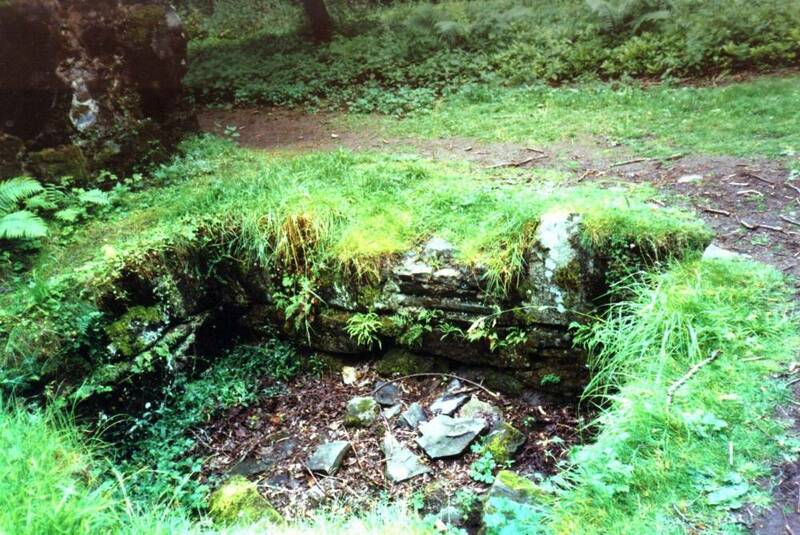 Access within the chamber of the north cairn. 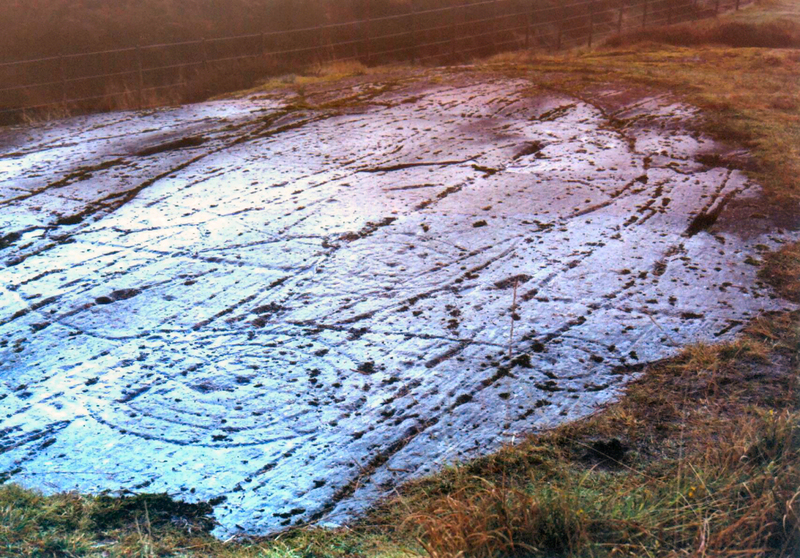 A Bronze Age burial cairn with the covering removed to reveal three massive cists. There are axe heads carved on one of the cist clabs. 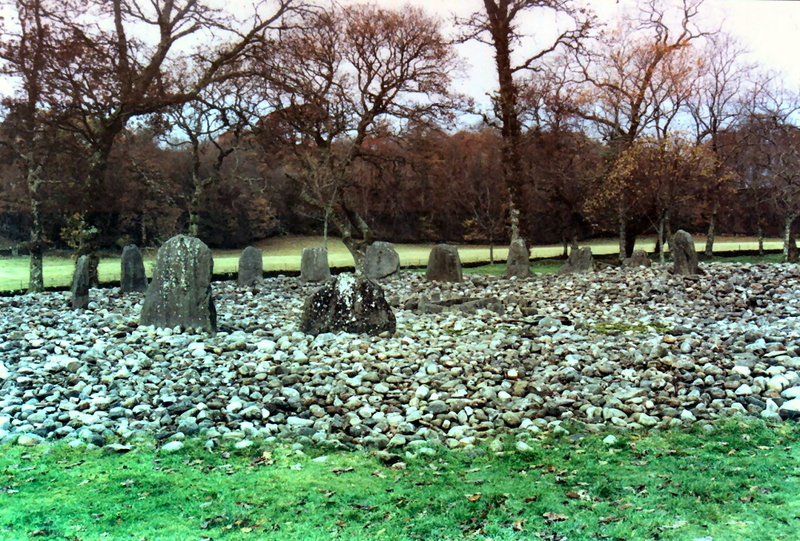 A circle of upright stones, and the remains of an earlier circle. Dating to about 3000 BC. 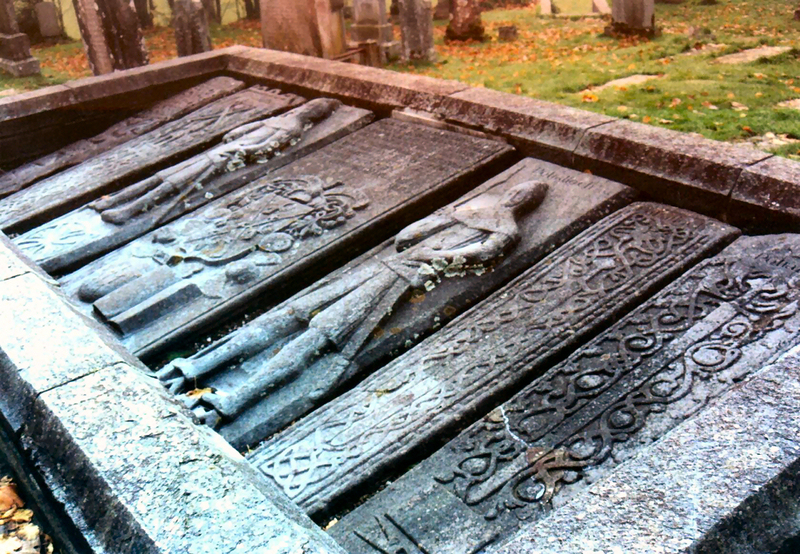 A group of West Highland carved grave slabs in a churchyard. 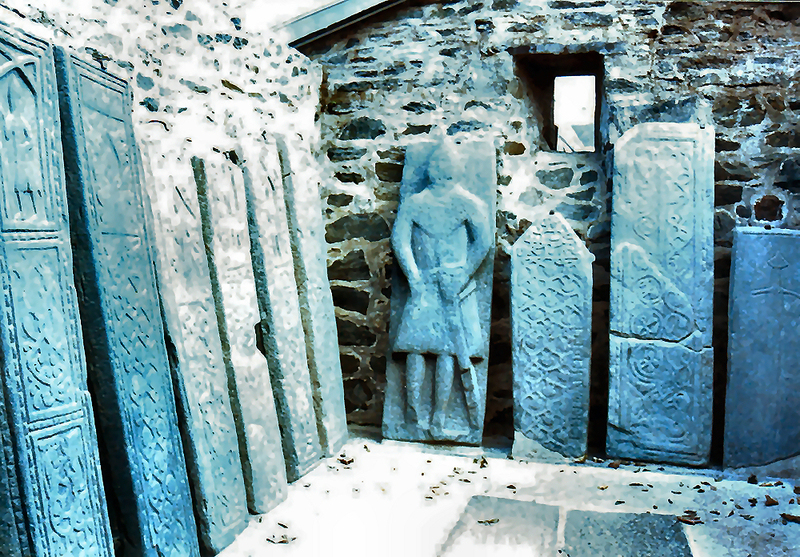 A small medieval West Highland church with a collection of typical West Highland grave slabs. 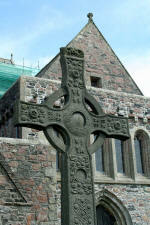 In the church is Macmillan's Cross, a splendid piece of medieval carving. Set in a public park, the oldest part of the house is a 15th century tower remodelled by the Earl of Arran between 1546 and 1550 and transformed into a stately home for the Dukes of Hamilton in the 1660's. A favourite residence of the Stewart Kings this is a wonderful example of a 13th-century circular castle of enclosure with 16th-century forework containing the great hall. Attacked by Vikings in its earlier days. 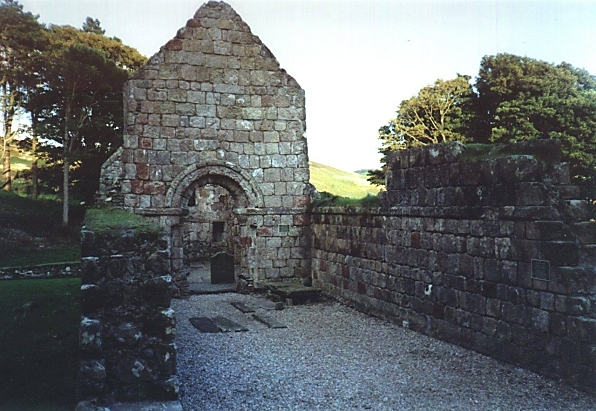 A 12th century Romanesque chapel set within a Celtic Monastry. A charming tranqil spot. The late medieval remains of the chancel of the Parish Church of St Mary, with two fine tombs. A fine 13th century castle with a 16th century tower house in one corner. 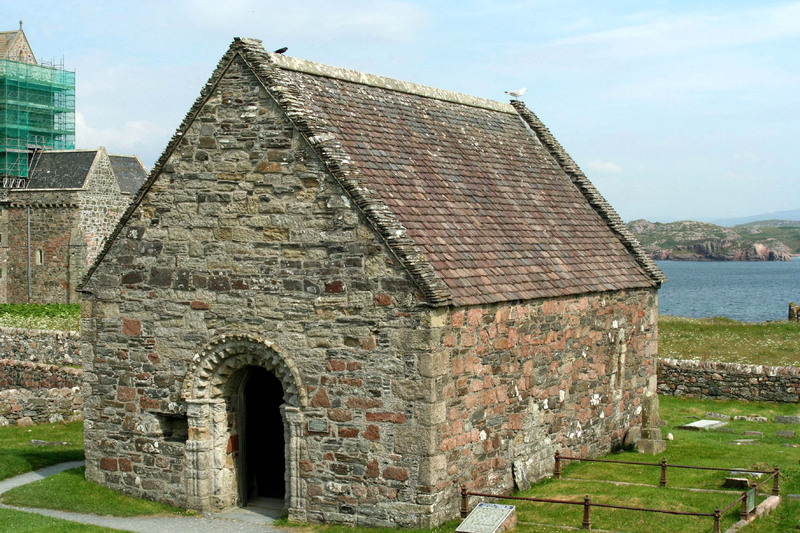 The early 14th century chapel with its fine grave slabs lies near the sea shore. At the head of Stirling's historic old town off the M9. 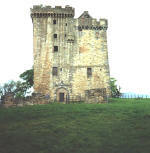 Considered by many to be the grandest of all Scotland's castles, set on a high rocky outcrop. The castle architecture is outstanding - the Great Hall and gatehouse of James IV, the marvellous Renaissance Palace of James V and the Chapel Royal of James VI. Stirling's colourful history saw William, Earl of Douglas murdered by James II and his mutiliated body hurled from a window in the Castle. 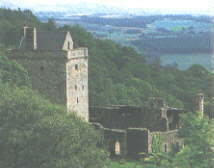 The Castle has strong links with Mary Queen of Scots. 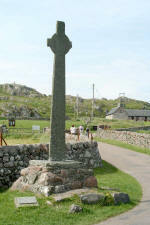 She was crowned in the Chapel in 1543 and narrowly escaped death by fire in 1561. Her son, the future James VI, was baptised here in 1566. New restaurant and introductory display. New introductory display and new restaurant. Open seven days a week, April to September 9.30 am to 6.00 pm. October to March 9.30 am to 5.00 pm. Last ticket sold 45 minutes before closing. 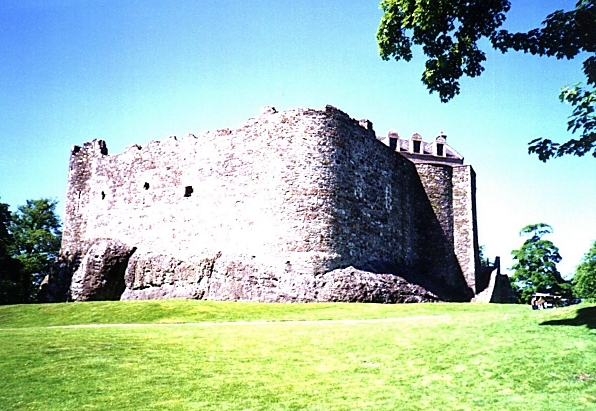 Read all about the history of Stirlingshire here! A superb mansion built around an earlier core in about 1630 and further extended by the Earl of Argyll in the 1670's. It is the most impressive town house of its period in Scotland. 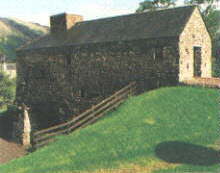 The principle rooms are now restored as they were in 1680. 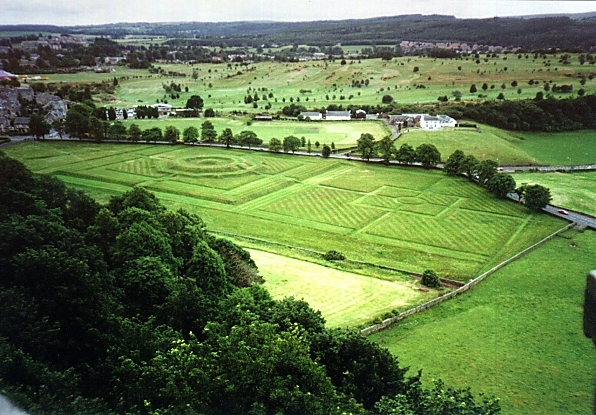 The earthworks of a splendid formal garden, probably made in 1628 for Charles I. A remarkable Renaissance mansion, built by the Regent Mar in 1570, of which the facade is the main surviving part. 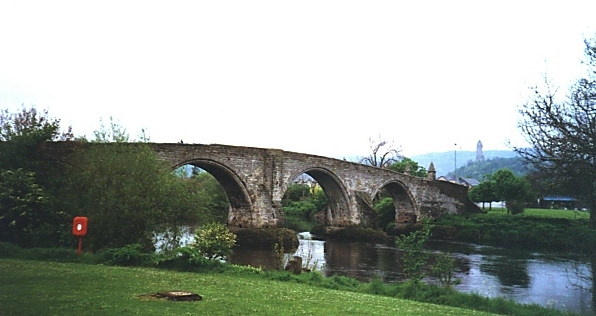 A handsome bridge built in the 15th century or early 16th century. The southern arch was rebuilt in 1749 after it had been blown up during The '45 to prevent the Stuart army entering the town. The monument to the famous William Wallace of Braveheart fame. A very handsome rectangular dovecot with, over the entrance doorway, a heraldic panel dated 1647. 13th C castle with 15th C keep.